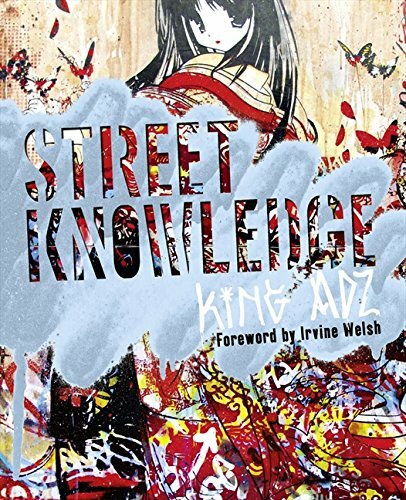 An encyclopaedia of street culture for those who love Banksy or Irvine Welsh and want to know about the cutting-edge talents, past and present, who have shaped urban cool. 'Really great stuff. Quirky, idiosyncratic, but mostly it gave a great feel for the complexities of hip, web-driven urban culture.' Eric Hansen, author of Motorcycling with Mohammed talking about The Urban Cookbook. King Adz is a writer, photographer and filmmaker who specializes in all aspects of of street culture: Travel, Food, Talent and Stories. He writes a column in Huck Magazine (street sports & culture) and regularly contributes to Little White Lies (film magazine) both of which are award winning publications. From 2000 – 2008 he was the founder, editor and creative director of 100proofTRUTH, a PDF that showcased and celebrated all diverse aspects of street culture. From 2000 – present day Adz has worked as a film & video director creating commercials, music videos and documentaries for a diverse range of clients and he continues to create films to accompany all of his books. The Urban Cookbook film was premiered at the 2008 International Amsterdam Film Festival.